"We flew in at 8pm, cottage was unlocked and ready for us. After an incredibly comfortable night&apos;s rest, we woke up to one of the most spectacular views. Unfortunately we were only staying 1 night, so we didn&apos;t get to appreciate all that Bushmanspad has to offer. Will definitely be back!" "Very nice place. Awesome views"
"What a lovely getaway spot for the weekend. Everything was so peaceful and quiet and we could not want for anything more. 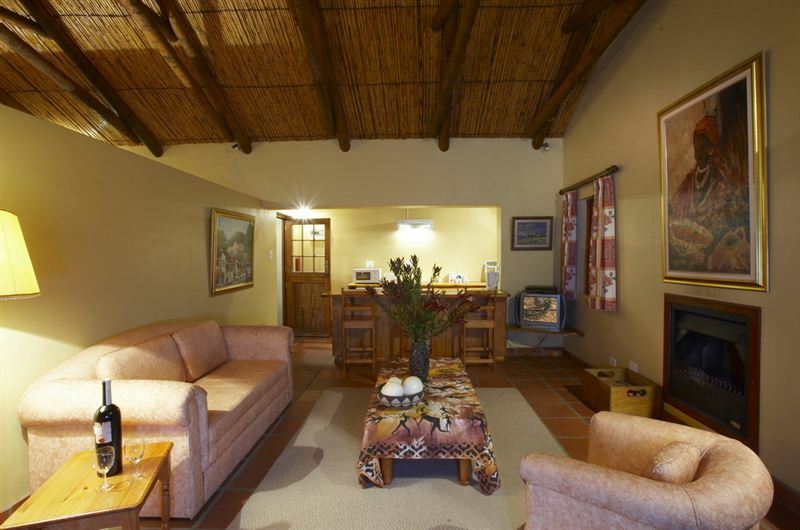 The cottage is very well equipped and the staff friendly and efficient. Thank you very much Bushmanspad Estate, will see you soon! Nix, Annabell &amp; Peanut"
"Getaway not to be missed!" 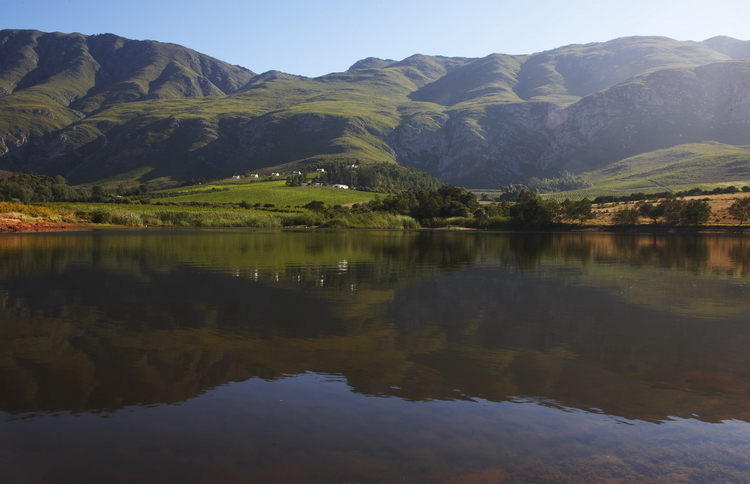 "Such peace, tranquility, stunning vistas made our stay just perfect, cottages provide all your needs, comfortable bed, wood provided, even WiFi, definitely will return." 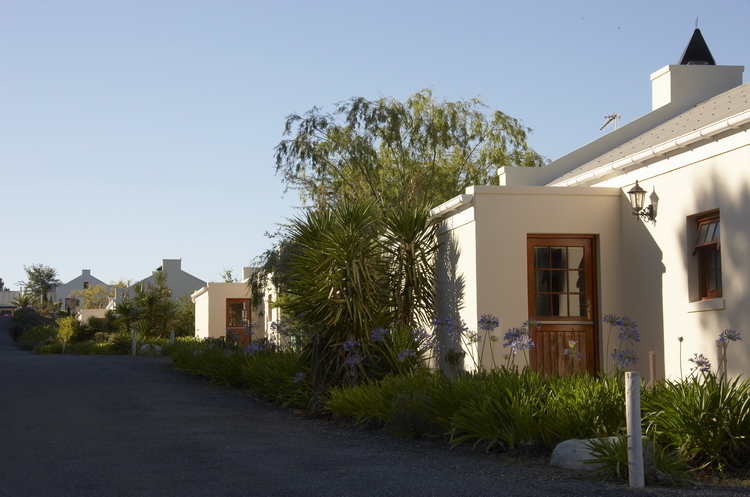 "We recently spent one week at Bushmanspad and genuinely enjoyed it - It is peaceful, the view magnificent and the cottages spacious.A few things, we felt, could be better. The kitchen was rather sparsely equipped, for example we arrived after a long day on the road and there was no coffee or sugar, which we would have expected at any 4 star accommodation. we had 1 kitchen towel available and 1 bin liner to last a week. Bushmanspad advertises Wifi in all cottages, we were unable to connect once to the wifi from any of our wifi devices.The cottages can accommodate up to 5 people - 2 in a double bed and 3 in the living room (on the sleeper couch and a single bed, which fell to pieces when we moved it to allow us to open the door fully). 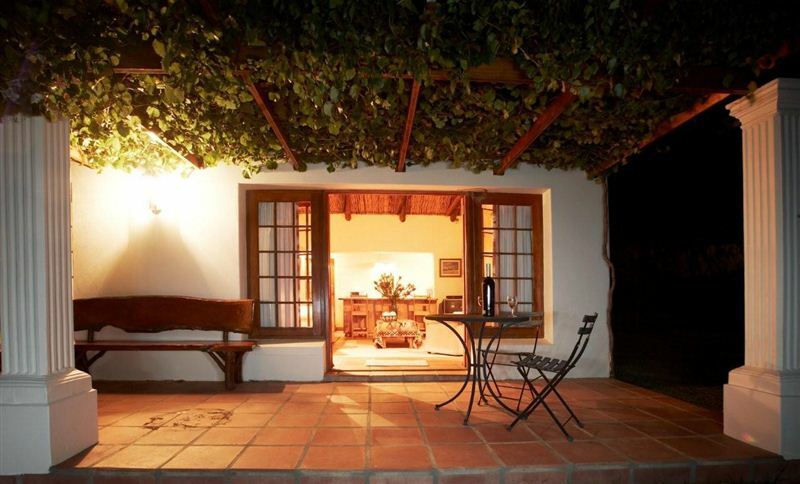 It should also be mentioned that the walls in the cottage do not reach the ceiling, therefore the bathroom becomes a less private affair.We also seemed to be missing any proper outdoor furniture on the stoep. There was a little iron table and 3 chairs in the corner, leaving the rest of the stoep open and no real place to sit and enjoy the beautiful view or spend any length of time outside with much comfort.But to end this on a positive note, the wine is just beautiful, it is a pity it is not available to purchase in any South African shops, only at Bushmanspad itself." 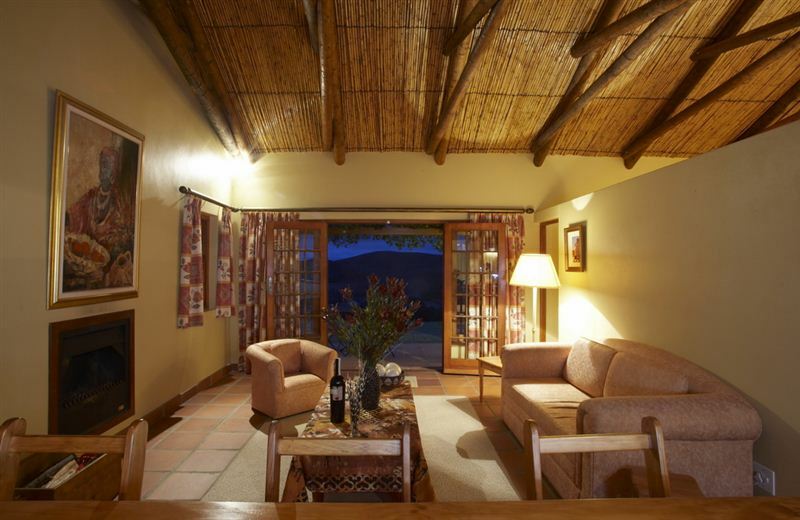 "Although the setting is beautiful the accommodation is far overpriced and uncomfortable. The reception area and service was poor. The lady who attended us was only working there for 2 months. We were the only occupants that evening although there are 5 cottages. Something does not tie up." "We had the most relaxing weekend, at the most beautiful setting. Even Eskom couldn&apos;t spoil the weekend. Candles were supplied by our host and we saw more stars than we had seen in a long time. The accommodation was top notch, we didn&apos;t lack for anything. The resident doggy spent the entire weekend with us which made it feel like home. No cell phone reception which was great. Don&apos;t worry they have Wi-Fi. Thank you to our host for a wonderful weekend, we will definitely be back." "The perfect spot to get away and be completely private and relaxed. Full facilities and you want for nothing." "Thanks for the great hospitality. Our son loved taking his boat out onto the dam. Will definitely be back!" "Outstanding. Our stay was too short but will definitely be back. Was our second stay there and even better this time. The young lady who met us was very friendly and helpful and went out of her way to go back down to fetch us wine. Stunning atmosphere and surroundings."